After a recent appearance that went down a storm, Tynemouth’s Surf Cafe have been swamped with requests to bring back Ayakara, and they do just that on Saturday 15th October. It’s their very own headline show, and one of the North East’s most underrated quirky venues is the ideal home for their laid back funky indie pop. Swishing guitars and swoony vocal melodies, with a jangling retro edge and flitting in and out of dreamy sounds, they’re sure to do down a storm at the coastal cafe. If you missed out last time, make sure you snap up one of the early bird tickets soon, as it’s sure to be a fun one. 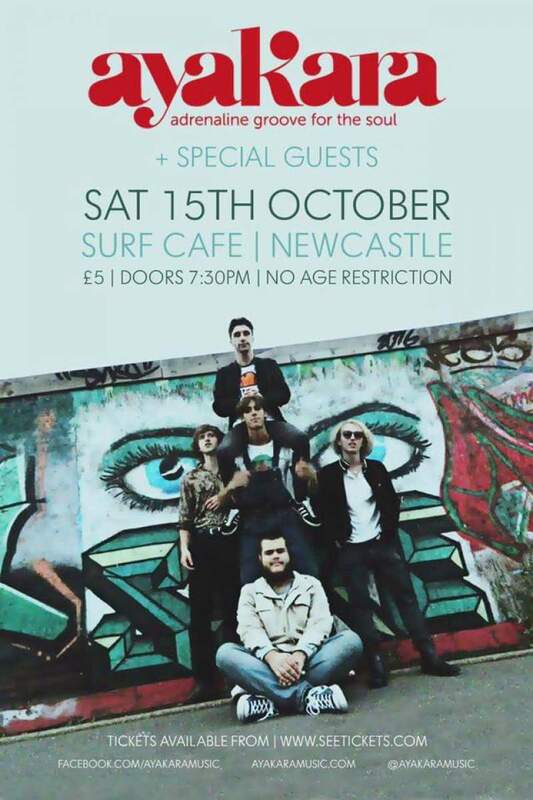 Ayakara is at Surf Cafe, Tynemouth on Saturday 15th October.